8626170 - frankfurt, germany - october 8 2010: visitors at the frankfurt book fair. If you are trying to promote your business, a trade show may be your best option. Do not write it off simply because other ways of advertising seem to be working. Exhibiting at a trade show is not an alternative when other methods fail. It should be part of our marketing strategy. Even though trade shows can be difficult and expensive to organize, their results can be very rewarding. The ROI is amazing. 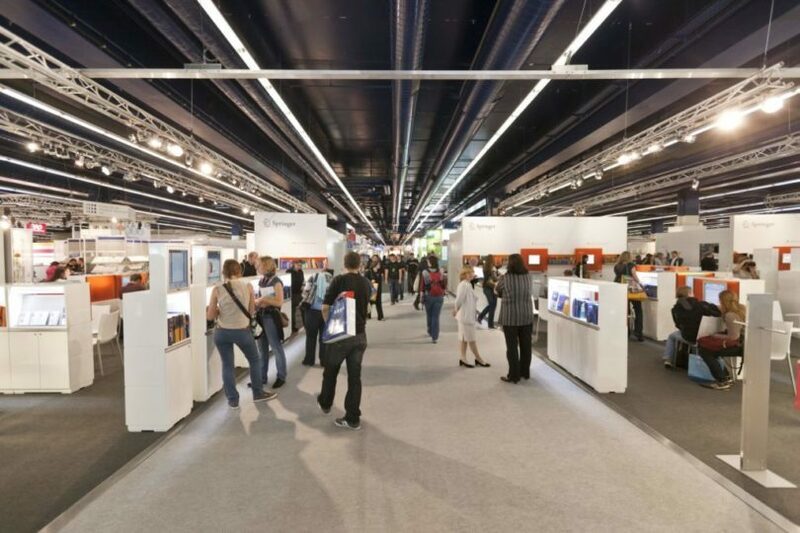 The following are some of the most important reasons why you should exhibit at a trade show. Following up on a sales lead can be difficult. With outbound marketing, it is very difficult to get your message across to a potential customer. You may end up sending multiple messages and getting no response at all. With trade shows, however, things are much simpler. You can speak to your prospective clients and get an immediate response. Unlike speaking on the phone where you are just another annoying voice, they get to interact with you. Exhibiting at trade shows gives you the chance to meet and interact with potential vendors and customers. It may be a chance for your business to expand its supply chain. You can network with potential contractors to help your business grow. A trade show is an opportunity to improve both your sales and supply chain. Exhibiting at trade shows gives you the chance to establish your brand. It is one of the few instances where you and your competitors have access to the same clients. You can take advantage of the opportunity to position your business as a top one in the industry. There are very few times when you can close a deal with a new customer. Mostly, you need to go through a number of rejections before closing a deal. At a trade show, however, people are more willing to make purchases. About half of people who attend trade shows make a purchase. When you speak to someone on the phone, they are usually focused on other activities. They are, therefore, likely to show disinterest. Trade shows bring you and your competitors together. You can, therefore, take the opportunity to learn about them and see what they are doing right. You can then apply their tactics in your business. If there is a specific competitor that you are concerned about, pay attention to their booth and see what they are doing differently. Connect with competitors and understand their strategies and pricing. ExpoMarketing is a great choice if you want to achieve success. It helps you find the best fit for your brand. All you need to start is to fill out your needs assessment for. The company will do an analysis and help you reap the maximum benefits from your trade show exhibition.